Reading Professor Moses Ochonu’s new book, Africa in Fragments: Essays on Nigeria, Africa, and Global Africanity was not an easy task. It was no fault of the book, a well-written engaging and eminently insightful book. It simply fell victim to my newly acquired digital ADHD, I rarely read books these days, I do read nonstop, pretty much anything I can lay my eyes on online. The book as a literary medium is in many ways a distraction from what my detractors would call an unhealthy obsession with the digital world. Yes, as far as I am concerned, books are fast becoming a distraction in the 21st century. Thankfully, Ochonu’s book was worth my time, I thoroughly enjoyed reading the book and I whole-heartedly recommend it to all those who are interested in matters Nigerian and African. It is a substantial contribution in the seemingly eternal battle to make the world see Africa’s sophisticated humanity through broader and more objective optics. Who is Ochonu? In the 21st century, it is impossible to talk about a book, without talking about the author and the sum total of his or her works and world view. Thanks to the Internet, the book is just one medium of expression deployed by the typical thinker. Ochonu is one of the smartest and most prolific public intellectuals I have never met. Although he is less well-known than his more fiery counterparts – Pius Adesanmi, Okey Ndibe, Sonala Olumhese, etc., he is just as passionate, erudite and uncompromising in his ideals and vision for the way things should be in Nigeria. Ochonu has an uncanny, disciplined ability to hone in on an issue and spur robust, feisty conversations on the Internet, especially on the USA-Africa Dialogue forum, a list-serve and mailing list of professionals and academics who are mostly from or affiliated with Africa. As a side note, the USA-Africa Dialogue forum is run by the world-renowned History scholar, Professor Toyin Falola, and is populated by perhaps some of the smartest and most prolific academics birthed by Africa (read my review of his awesome memoir, A Mouth Sweeter than Salt here). You should read the discussion threads on there and marvel at how much is out there that is rich and available and free to the world. It is an honor to be part of such a pantheon and there has to be a way of introducing a resource like this group to formal classroom instruction. The culture of the Internet mailing list is dying off but if I had to recommend a mailing list it would be the USA-Africa Dialogue forum; on a good evening, its many combatants could be e-seen holding forth and creating a dust storm of rigorous intellectual provocation. It is not always pretty in that pantheon of eggheads, but there is never a dull moment. Ochonu is a fine scholar, extremely well read and it shows in the book. His ruminations in the book span a broad range of topics that all have depth. The essays are engaging in the style that I have gotten used to in mailing lists, social media and the Internet in general. This book would be an awesome addition to any curriculum resource on Nigeria and Africa, especially in Nigeria’s tertiary institutions, where students are coming in from broken classrooms that do not teach history, because, the government has outlawed history from the curriculum. Ochonu is an intense intellectual, with a razor sharp intellect that is matched only by his passion for the work. As an example, Ochonu wrote the definitive take-down on Mallam Nair Ahmad el-Rufai (Dealing with the el-Rufai nuisance). It is a beautiful essay, crisp and focused on holding a former public official accountable, brimming with damning data and analysis, one that has yet to be responded to by El-Rufai since it was written. Because there is nothing to respond to. We are entitled to our own opinions, but not to our own facts. Section I: How Nigeria can survive; The other problems of corruption; The case for real constitutional reform; Nigerians’ love-hate relationship with government; The “federal character” conundrum; Can Nigeria afford (literally) this democracy? ; Northern elites and Northern economic backwardness; The limits of electoral reform. Section II: My Oga is better than yours; Anti-intellectualism and book people; Bongos Ikwue and Idoma cultural cosmopolitanism; Names and naming in Nigeria; Helicopter escapes and the common good; The patriotism blackmail. Section III: Africa, corruption, and moral consequence; Abuja millennium tower and the problem of explaining Africa; Arab Racism against Black Africans: Toward an understanding; Boko Haram, African Islam, and foreign Islamic Heterodoxy; African participation in the Atlantic slave trade: A deconstructionist approach; Why do Africans migrate to the West? ; Immigrants, uprising, and the revenge of history; Of African immigrants and African Americans; Debt cancellation, aid, and Africa: A moral response to critics; Race, racism, and the immigrant black experience in Euro-America; Nollywood and the functional logic of mediocrity; Toward a new African renaissance. Arab racism is so deep that it is inscribed in the fundamental semantic structure of the Arabic language. To this day, the generic word for a black person in the Arab-speaking world is the preface abd, which translates as “slave.” Although abd is used in reverential contexts to denote devotion, as in abd-allah (slave or servant of God), its generic usage for blacks in the Arab world is a throwback to the slave status of the ancestors of black Arabs and is clearly pejorative. This linguistic norm, among many other racially charged ones, is an expressive constant that holds true for the entire Arab-speaking world regardless of dialect and orthography. Ochonu, Moses (2014-07-23). Africa in Fragments: Essays on Nigeria, Africa, and Global Africanity (Kindle Locations 2405-2411). Diasporic Africa Press, Inc.. Kindle Edition. Ochonu’s essays in this book make the case eloquently that corruption is in every cell of Nigeria’s governance. As I said earlier, Ochonu wrote the most authoritative and competent essay on the narcissism of el-rufai. You can’t link to it in the book (of course not!) but here, in Chapter 2, The Other Problems of Corruption, read, laugh, – and weep at a country on her knees from the relentless pillaging by her leaders. And Ochonu has sharp elbows; the chapter The Patriotism Blackmail is a resoundingly defiant middle finger to chants of Afropessimism leveled by alleged “patriots” against those deemed too critical of African states. In Northern Elites and Northern Economic Backwardness, Ochonu proves that this is a rich book as he confronts Northern leadership and calls them out on their performance lapses. [T]he ideal that underpins federal character does not square with a widely shared and expressed ideal: the preference for residency rather than ancestral origin as the supreme marker of citizenship/ indigene rights. In the wake of recent ethno -religious crises, this ideal has gained currency across the political and intellectual spectrums. Conversely, there has been widespread outrage at the practical consequences of the indigene– settler divide. Ochonu, Moses (2014-07-23). Africa in Fragments: Essays on Nigeria, Africa, and Global Africanity (Kindle Locations 978-981). Diasporic Africa Press, Inc.. Kindle Edition. In Why Do Africans Migrate to the West? Ochonu provides a unique perspective that perhaps could be bolstered even more by the voices of the new underclass coming in droves from economically sacked African nations. The essay Of African Immigrants and African Americans is perhaps the most ambitious piece I have ever read, certainly a more complex and robust intervention than Adichie’s Americanah. It is a bit controversial as he tries (unsuccessfully, in my humble opinion) to offer an alternative meaning to the pejorative term Akata. Regardless, the best narrative space for an African immigrant interested in documenting the immigrant experience is the blog, twitter and Facebook. These are breathing living spaces for breathing living stories. In Boko Haram, African Islam, And Foreign Islamic Heterodoxy, Ochonu struts his stuff majestically; this is scholarship at its best. It is a powerful, rich essay, I highly recommend it. If you read nothing else this year, please read this one. He detaches himself from an analysis, he can be dispassionate and clinical but yet deeply engaging. Sometimes, Ochonu seems genuinely baffled by the bizarre levels of corruption and excess of Black Africa’s leaders. The answer is deeper than the megalomania and kleptomania that fuel virtually all of Africa’s leaders. By the way, for those interested in savagery, here are graphic pictures of Mobutu’s excesses ($100 million palace) in ruins, here; in particular watch this BBC video clip. We must ask however, especially of Nigeria’s troubles: What is the state of the environment that has spawned these dysfunctions? The book is silent on that question. Without the back and forth of online dialogue, something is sometimes lost in the translation. In my opinion, Ochonu’s book does not go far enough, it is about [the lack of] accountability, a resounding failure of leadership, and I am not just talking political leadership. The analysis should be simple: There has been no substantive restructuring of any of Nigeria’s institutions since her alleged independence from colonialism in 1960. Most of Nigeria’s structures are 19th century holdovers from the colonial days. The result is a glaring 20th century caricature nation in the 21st century. True accountability is the crux of Nigeria’s current problem. I must say to Ochonu’s credit, he gave it a great shot in the essay Can Nigeria (Literally) Afford This Democracy? It is an insightful and rigorous intervention of this subject that offers, or at least hints at, alternatives. What a refreshing concept. Here, Ochonu’s passion is almost at full throttle; still it does not match his killer performances in the digital spaces that he stalks. It is not his fault, the book as a medium does poor justice to his intellect, passion and energy. You can’t contain the Ochonus, Adesanmis and Olumhenses in a mere book. They need an infinite canvas. That would be the Internet. Africa in Fragments offers an opportunity for me to talk about the poor job the hard copy book is doing to documented thought in the 21st century. For Ochonu’s mind and industry, the book as a medium does a poor job. Even when the book is ported to the Internet as an “e-book” it is akin to using the computer as a typewriter. Let me explain. The links in the Bibliography section are not hypertext on Kindle. You would have to copy and paste it onto a browser to use it. Traditional publishers don’t get it, they are fighting a change that came yesterday, using the Internet as if it were a typewriter. Publishers, in order to survive, have to align their vision with how people, especially the youth now live. This is not how youths of today read. Youngsters are being forced to master arcane styles of referencing using “MLA” or “ALA” format. These styles are not sustainable. I point this out because Ochonu’s book is essentially an archive of his viewpoints that were previously expressed in online forums, they are written as such and it shows. Missing is the robustness of discourse that the thoughts were part of; you would have to go to the threads online to get a feel for the tenor, content and trajectory of the discourse, because there you would see the responses to Ochonu’s ideas by other intellectuals. Here, it sometimes reads like a lecture, instead of an important part of a thread or conversation. I dream of a living breathing e-book, complete with running discussion threads embedded, hyperlinks to all the resources in the essays and opportunities for comments – almost blog-like. I would be willing to pay a modest fee to subscribe to Ochonu’s mind in such an endeavor. Adichie, Chimamanda Ngozi. “The Dangers of a Single Story,” TED Talk, July 2009. http:// http://www.ted.com/ talks/ chimamanda_adichie_the_danger_of_a_single_story.html. Accessed on February 4, 2014. If the gatekeepers of tradition believe that readers will type all that gibberish on to a computer they are joking, That is what Google is for. The philosophical implication of Bongos’s music is that universal values are not independent of their constitutive elements; they are instead coextensive with their divergent parts. They are empowered and substantiated by the material and abstract worlds of disparate people living in localized, sometimes remote, milieus in different corners of the world. Idomaland is one such constituent of the universal. Its quotidian realities, cosmological landscape, and incantatory messages mirror and feed into the universal axioms that we take for granted in speech and gestures, and that some of us adopt as moral instructions . Not only are universal concepts minted in European linguistic systems analogous to similar concepts in the worlds of the Idoma and other non-hegemonic cultural formations; they sometimes derive their credibility and persuasive appeal from the fact that they are ultimately rooted in the material and symbolic inventions and adaptations of peoples— like the Idoma— who are often theorized as peripheries of the world. Ochonu, Moses (2014-07-23). Africa in Fragments: Essays on Nigeria, Africa, and Global Africanity (Kindle Locations 1613-1619). Diasporic Africa Press, Inc.. Kindle Edition. That part taken from the essay, Bongos Ikwue and Idoma Cultural Cosmopolitanism reads like part of an obtuse PhD thesis. If you understood all that, you are ready to take the SAT aptitude test. My son is studying for the test. He should read the book. His world-view will expand, yeye American, and he will ace the SAT reading and writing sections, LOL! I kept dreaming: What would a really good digital book look like? We could start with Africa in Fragments and convert it to a real book, complete with links, forums and pictures. I would pay a mint to get into Ochonu’s head that way. Yes. Imagine, back and forth dialogue, multi-layered, multi-dimensional – the emerging form of literature in the 21st century. Death to the sage-on-the-stage tyranny, welcome to the guide-by-the-side paradigm. The book makes frequent, veiled references to the richness of discourse in the USA Africa Dialogue online forum and unwittingly makes the most eloquent demonstration of the failure of the book as a medium to replicate the joys of digital media. Again, the book was written for a digital audience, and struggles with long explanations where a hot link would explain. Resources to What is the Marshall Plan? and Tony Blair’s debt cancellation plan should have been hot links on kindle. They are not. That is the fastest way to lose an audience. In any case, to really get into Ochonu’s fecund mind, go online, Google him and feast – for free. But first you must buy this book. The second potential catalyst for Africa’s development in the twenty-first century turns on the degree to which the continent’s leaders harness and channel into productive endeavors the ideas, peoples, goods, intellectual capital, and technologies moving in and out of Africa. This effort to take advantage of new ideas and mediums to rebuild, reclaim, and revitalize Africa is as much an intellectual process as it is a political project. As thinkers on Africa’s fate and future, African intellectuals must accept that certain aspects of their analytical toolkit are now simply outmoded, rooted as they are in struggles and constructs that were relevant to sociopolitical moments that have expired. For instance, the old utopian pan-Africanist vision that sought to dissolve rather than understand intra-African difference is no longer tenable. Without explicitly intending it, some of these outmoded constructs shut off discussions on communal fissures, contentious relations between contiguous African peoples, internal hegemonies of class, race, and ethnic privilege, and the ugly underbellies of a frayed Afro– Arab relationship. Ochonu, Moses (2014-07-23). Africa in Fragments: Essays on Nigeria, Africa, and Global Africanity (Kindle Locations 4490-4497). Diasporic Africa Press, Inc.. Kindle Edition. Furthermore, as the spaces for discussing, brainstorming, and troubleshooting on Africa’s slate of challenges increasingly take on informal characteristics with the popularity of social media and others organs of democratized punditry, African leaders and intellectuals have to engage with nontraditional African discursive communities nurtured on informal technologies of expression and problem solving. All of this throws up larger, more consequential questions. How can African leaders and intellectuals reckon with increasingly mobile African bodies, ideas, and objects? How can they keep up with the narratives that are animating the lives of African communities in fixed, situated locales and in shifty information landscapes such as Internet forums and social networks? How do we write African stories that are proliferating in cyberspaces into our rendering of African realities, into our descriptions of African ways of seeing and structuring the world, and, ultimately, into our prescriptions for an African renaissance? Africa’s future depends on the extent to which these ideational, human, and technological flows between Africa and the world and within Africa intersect to create new economic, political, and intellectual paradigms. The first imperative is a basic existential one of remaking the territorial, constitutional, and political contours of postcolonial African nation-states in the diverse, complex images of their constituents. 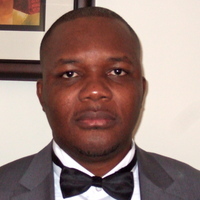 Ochonu, Moses (2014-07-23). 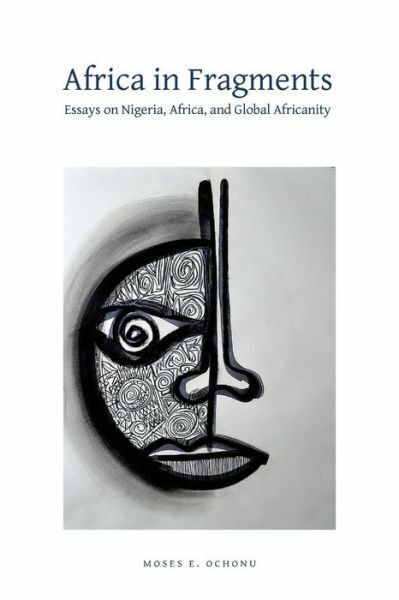 Africa in Fragments: Essays on Nigeria, Africa, and Global Africanity (Kindle Locations 4483-4516). Diasporic Africa Press, Inc.. Kindle Edition. These are profound observations that should breathe beyond Ochonu’s book; they should be enough for a week-long conference, not a book. I salute Professor Moses Ochonu for engaging me with his thoughts in his insightful book. Go get your own copy, LOL! Next Post Pius Adesanmi – Guest BlogPost: For Whom is Africa Rising? Thanks for this thorough review – a great appetiser for the book. I’ve added it to my wish list and hope to read it soon.